The State of the union Coalition was formed in 2009 by Civil Society Organizations in ten countries. It is a unique multi-sectoral monitoring group that is holding African Governments accountable for the ratification and implementation of African Union decisions. The coalition seeks to do this through Informing and empowering Citizens to act to claim key rights and freedoms; Influencing the African Union and African States to ratify, popularise and implement key standards, and through building inclusive continental and national platforms. Desired Skills & Experience The successful candidate will have: A degree in International Relations, development studies, political studies, social development studies, demography and Population studies or related field from a nationally / internationally recognised university would be an advantage. Well organized and able to apply skills to large amounts of information. Has experience of working to deadlines and the ability to prioritise and manage own workload. A proactive approach to duties, continually looking at ways to improve processes. Good communication skills. Fluent spoken and written English. Good interpersonal skills. Good administration, planning and project management skills. Due to high volumes of applications received, short listed applicants will be contacted going forward. Should you not have received feedback on your application within two weeks of the closing date, please consider your application unsuccessful. 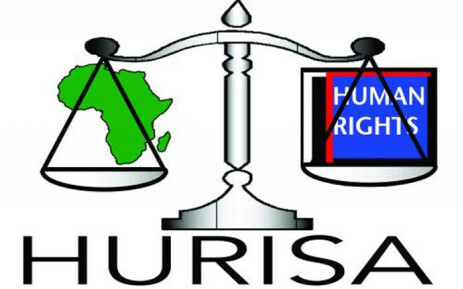 HURISA will not consider candidates from recruitment agencies. and reserves the right to withdraw any of our vacancies at any time. HURISA promotes diversity and welcomes applications from all sections of the community especially females. The Special Rapporteur on Human Rights Defenders in Africa, Ms. Reine Alapini-Gansou, expresses her deep concern at the suspension of ten (10) non-governmental organizations (NGOs) by the Government of Burundi. According to information we received, on 23 November 2015, the Minister of Interior of Burundi issued decree nr. 530/1597 suspending ten (10) NGOs working for the protection of human rights. We have been informed that this suspension is related to an investigation on allegations of inciting violence during Burundi’s recent periods of instability. We are concerned about the negative consequences that could arise from this decision to suspend Forum pour le Renforcement de la Societé Civile (FORSC), Forum pour la Conscience et le Développement (FOCODE), Action des Chrétiens pour l’Abolition de la torture (ACAT), Association pour la protection des personnes détenues et les droits de l’homme (APRODH), Parole et Action pour le Réveil des Consciences et l’Evolution des Mentalités (PARCEM), Amicale des Militaires en Non Activité (AMINA), Fontaine Isoko de la Bonne Governance pour un Développement Integré (FONTAINE-ISOKO), Synergie des Partenaires pour la Promotion des Droits de la Femme (SPPDF), Réseau des Citoyens Probes (RCP) and Association Maison Shalom (Maison Shalom). We are further concerned by the continued allegations of harassments against human rights defenders by the Burundian security forces. The Special Rapporteur notes that all ten (10) human rights organizations are well-known groups, and a number of them, such as APRODH are led by renowned human rights defenders such as Pierre Claver Mbonimpa, who survived an assassination attempt in August 2015 and the killing of two family members in retaliation for his work as a human rights defender. The Special Rapporteur condemns such practices which clearly constitute violations of human rights and humanitarian law, and reminds the Government of Burundi of its obligations under the African Charter on Human and Peoples’ Rights, the United Nations Declaration on Human Rights Defenders, the Grand Bay and Kigali declarations, as well as other international legal instruments ratified by the Republic of Burundi. Take measures to put an immediate end to the intimidation and harassment of human rights defenders in Burundi.